For our current Bible Study, we are reading Matthew. where the child inserts the 2 strips and slides them to match. I have used different colours to help visualize and memorize the matching verses. 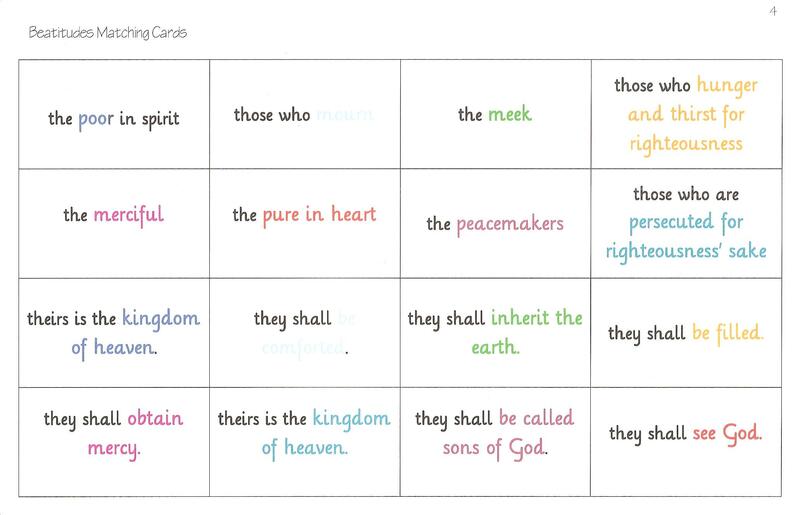 My children sketched a tiny image for each phrase to also help them memorize the verses. 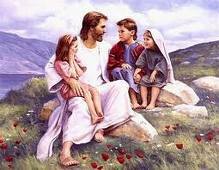 For greater mastery, when the child knows the verses well, she can leave one strip out and memorize the missing part of each verse. 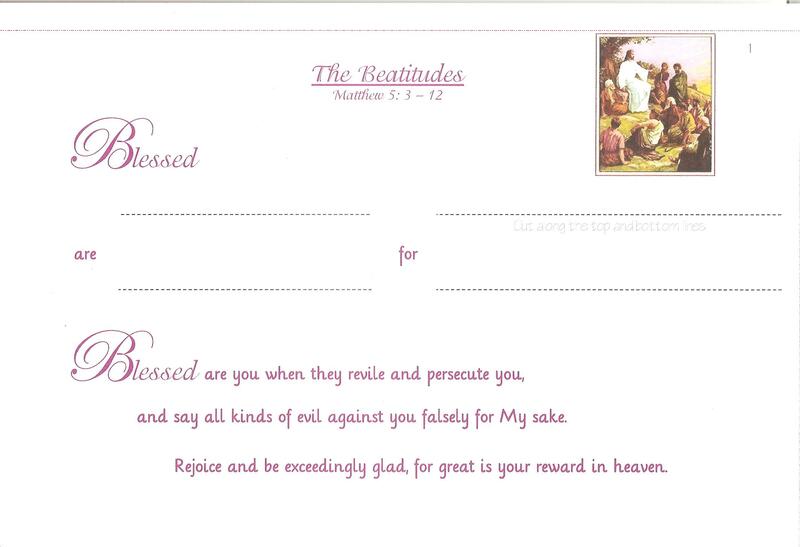 For fun, I made a Matching Beatitudes Card Game. Here 2 or more people can play “memory” with the Beatitudes cards. I have included a master list for this game. As always, I trust and pray that my children understand and apply these Bible verses to their daily lives. Only the Holy Spirit produces the life of Christ in us. 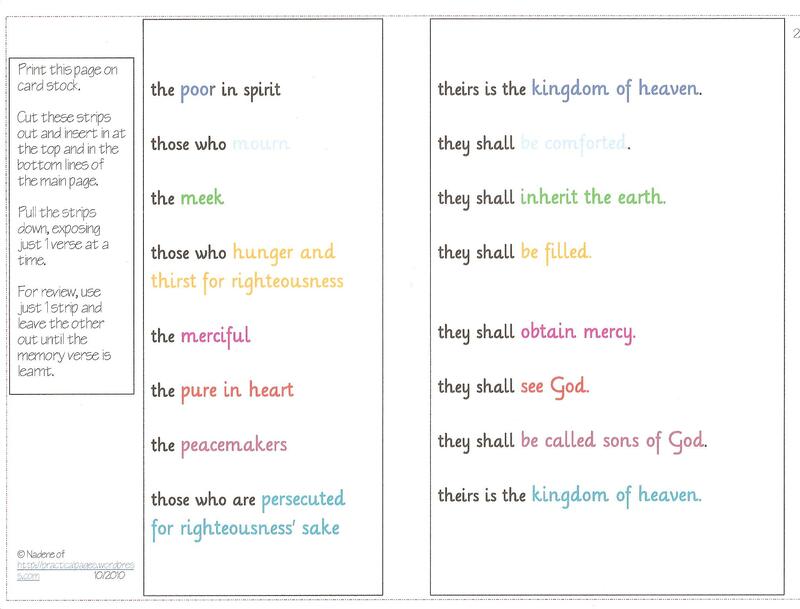 We cannot aim for, trust the Lord for, try to be or do any of these Beatitudes. 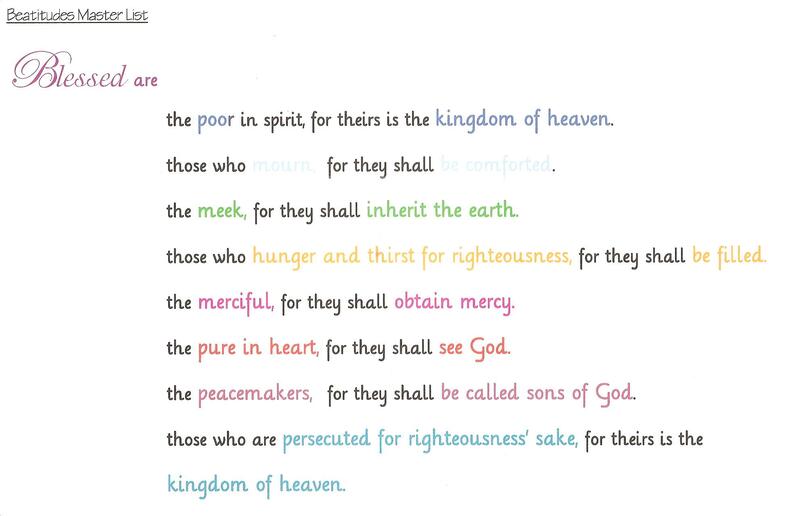 Only in surrender and death to ourselves, can Jesus live out these Beatitudes through us. This is great! We finished Mt. 6 using hand motions, and are ready for something else this time. Thanks for letting us glean from your hard (creative!) work. A very worthy memorization passage. Blessings to you and yours as you strive to hide them in your heart. Thank you for your resources. We’re spending time on the beatitudes over the next couple of months, and this will be the perfect tools for us.